This coming Thursday, the 24th of July 2014, is National Tequila Day. Being the booze patriots that we are, we felt we should honor the event by making more tequila drinks. As we said in A tequila transition, it’s a great spirit and we need to remember to use it more. 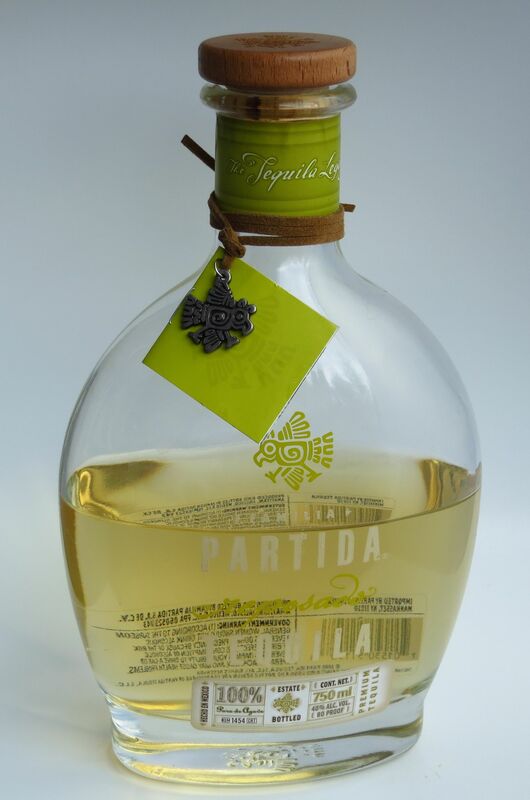 We have a couple tequila brands that we really like; Partida has been a favorite for a while, but we were recently introduced to Casa Noble which we quite like as well though it is rather different in flavor profile. So we decided to try a couple of drinks with each to see how they compared. We decided to riff on some classic drinks using tequila instead of the regular base spirit to see how they turned out. 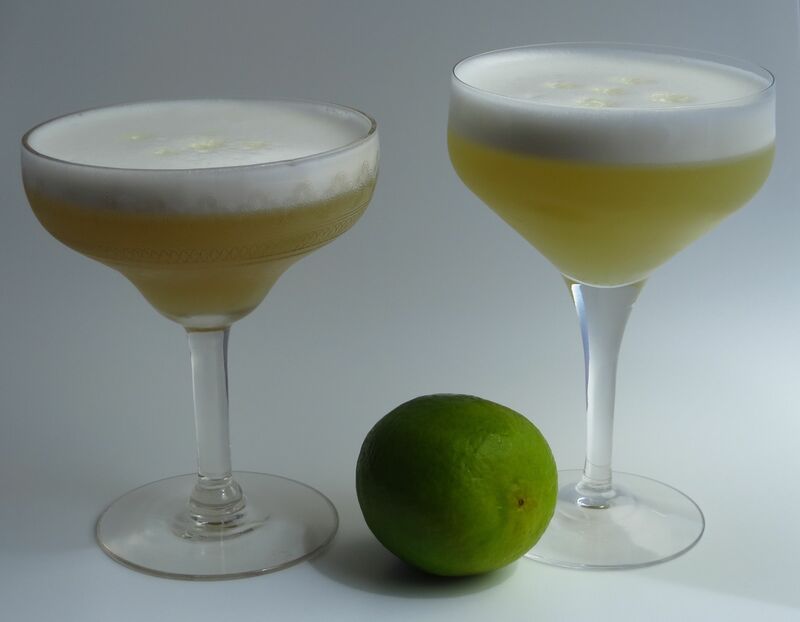 First up, we wanted to try a classic sour with tequila since we have rarely seen such a thing, but there’s no good reason not to. Tequila loves the company of citrus and sugar, after all. Dry shake first 6 ingredients to help form the foam. Add ice and shake more. Strain into a glass. Add a few drops of lime bitters. Enjoy! Nose: Earthy vegetal agave, caramel-y wood, and a touch of chocolate. Little bit of lime as well. Palate: Milk chocolate and lemon on the front. Mid-palate is sweet syrupy agave with touches of barrel notes and lime. Green chili pepper notes on the finish. Nicely dry, astringent finish. Chocolate notes really stand out as it warms up. Slight wood notes come up on the finish as well. Mouth feel is a bit creamier compared to the Partida. Richer, fuller flavors on the whole. Nose: Lemon, lime stand out very clearly. Green, grassy agave. No barrel notes. Palate: Lemon and cut grass on the intro. More cut grass on the mid-palate, along with aged wood notes, caramel and agave. More of the chili flavor and heat come through than with the Casa Noble version, starting at the mid-palate and into the finish. 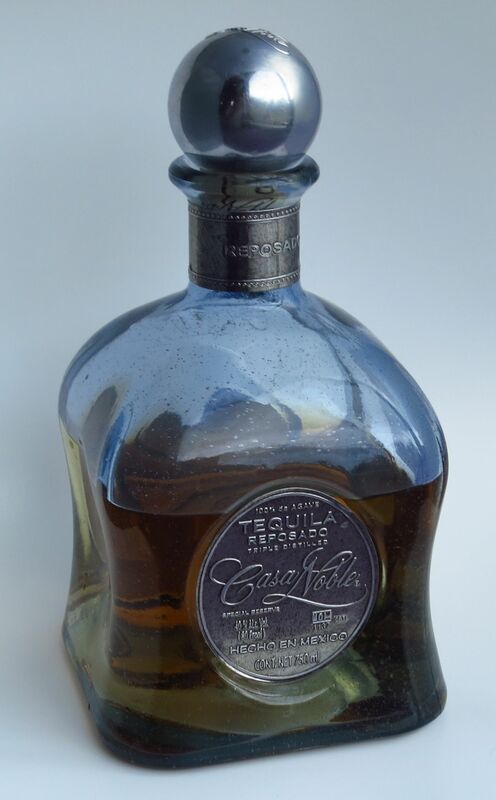 Mild, earthy agave on the finish, which is not as dry and astringent as the Casa Noble. More barrel notes on the finish as it warms up. Brighter, lighter drink overall. Nose: Chocolate, orange, little bit of molasses, plus an interesting combination of black coffee and lemon, kind of like a classic Italian espresso. Palate: Rich milk chocolate and creamy orange ganache to start. Sweet caramel and bright fruit notes like cherry and lemon on the mid-palate, followed by the peak of the bitterness from the Carpano. Toasty, warm, nutty finish. Luxuriant. Nose: Rich sweet orange, almost a brandy quality like Grand Marnier. Lemon. Dried grass. Palate: Opens with lemon and cola along with aromatic, resiny barrel notes. Sweet cherry and perfume-y green herbal notes (like marjoram) on the mid-palate. Finish is lemon and vegetal agave notes plus slight bitterness (not as bitter as the Casa Noble version). Our big takeaway here is that the base spirit can have a huge difference in the final outcome of the drink. The Casa Noble has some lovely rich chocolates notes, whereas the Partida adds nice bright grassy/citrusy notes instead. We love them both and will choose between them based on the type of flavor we are more in the mood for. So never assume that just because two spirits are of the same type that they taste quite the same 🙂 Next time you have a few minutes, line up a few bottles of the same spirit and try your own comparison to see what you get! 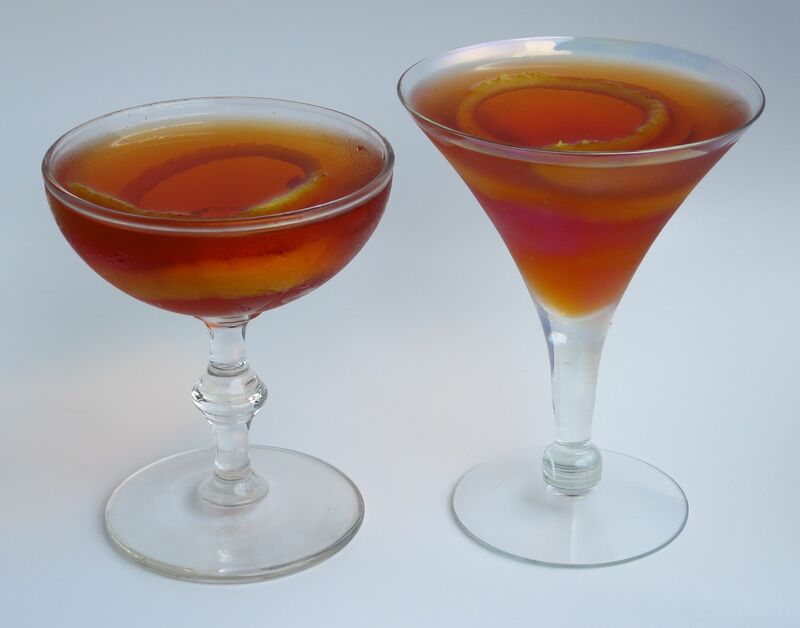 This entry was posted in aperol, lime juice, limoncello, sweet vermouth, tequila and tagged Aperol, carpano antica vermouth, casa noble tequila, desert sour cocktail recipe, partida tequila, triumvirate cocktail recipe. Bookmark the permalink. So I thought I’d check with my Mexican mate to see if they really celebrated World Tequila Day. He’s never heard of it and his family run a Mezcaleria called La Piqueria in San Luis Portosi. Anyway I’m celebrating with you guys and I’ll celebrate with him when he comes back to Oz with some mezcal straight from the farms. I enjoy Partida a great deal.